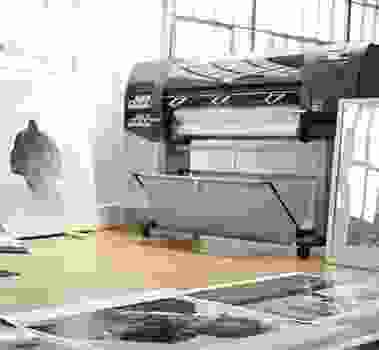 Large format printers, also known as wide format printers are machines capable of printing up to 100 inches wide (254 cm). 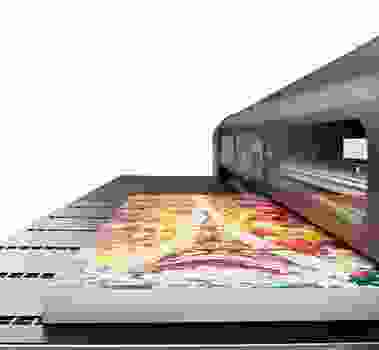 Printers capable of printing wider than 100” are known as Super wide or Grand format printers. Typically, large format printers are used to produce anything from banners, posters, trade show graphics, wallpaper, murals, backlit film (aka duratrans), vehicle image wraps, electronic circuit schematics, architectural drawings, construction plans, backdrops for theatrical and media sets, and any other large format artwork or signage. 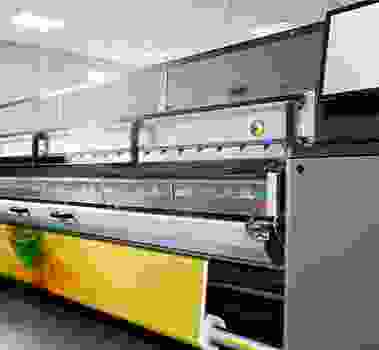 Graphics Large format printers or large format photo printers are designed to print photo quality graphic displays. Applications include photography, canvas printing, exhibition stands, billboards and retail display advertisements, self-adhesive vinyl and building wraps. We stock the Hewlett Packard Designjet, Epson Stylus Pro and Canon IPF (Image Pro Graf) ranges. Large Format CAD Printers were originally referred to as plotters. These are designed specifically for use within the AEC markets, that's Architecture, Engineering and Construction and produce fast, high quality colour line drawings from CAD packages such as AutoCAD as well having the ability to print graphics on a large range of Medias adding the capability to print images of 3D renders. We supply Hewlett Packard Designjet, Epson SureColor T series and Canon IPF (Image Pro Graf) ranges. 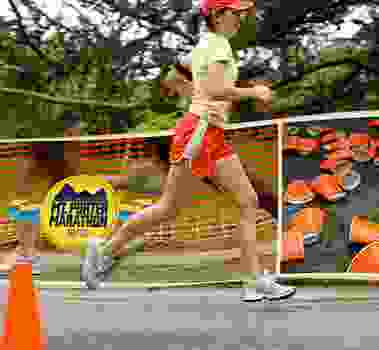 Outdoor printers are specifically designed for printing large and grand format images that will end up exposed to the elements, making them ideal for producing signage, banners, and pop up displays, display systems, wallpaper and wallcoverings. We supply Mutoh solvent based printers, Hewlett Packard Latex technology printers, and UV technology from, Hewlett Packard, Jetrix and EFI, both Flatbed and roll to roll. These are printers that are designed to print specifically onto fabric and we supply Direct to Fabric type printers from MS and Dye Sublimation technology from our softprint range. These are ideal for printing flags, banners, furnishings and soft signage solutions. Flatbed printers are designed to print on nearly any substrate including non-flexible medias such as, Dibond, Forex, Acrylic, Kapa and, wood. These printers use advanced technology ink that is cured by UV light giving a durable image that will last outdoors for many years. Perfect Colours Approved Used printer scheme selects only the best used printers to be resold. All printers are thoroughly tested and evaluated before sale and unless otherwise stated come with a full warranty. Our current stock changes daily so please call us with your requirements, we have around 50 units available at any one time. We have HP designjet 5500. Z series and T series as well as 500 and 4000 series and many others from Epson and Canon.